Check out the Assassin's Creed III and Operation Raccoon City Trailer! Gameinformer will have new information on Assassin's Creed III with their upcoming issue, but right now you can check out the trailer for the game below. The American Revolution setting has been confirmed, and will take place in the year 1777. 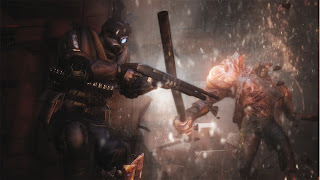 For the Resident Evil: Operation Raccoon City trailer, it shows off the new Nemesis mode, which is currently an Xbox 360 exclusive.